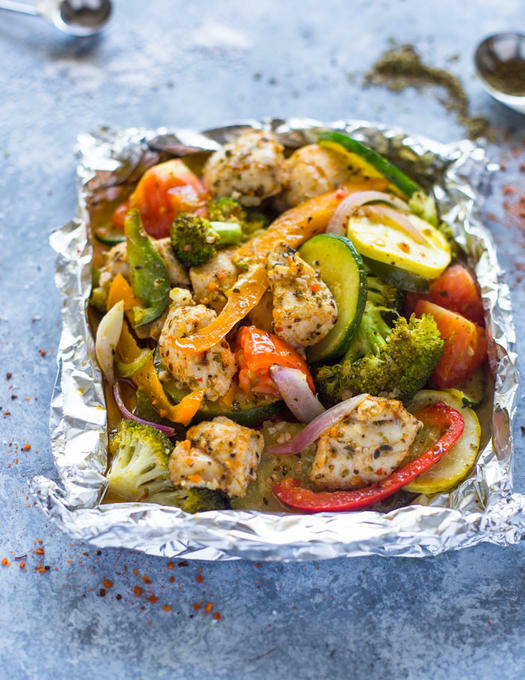 Wrap up different vegetables, meat, and seasonings for easy foil packet meals every day of the week. The BBQ chicken sandwich just ditched the bun and got a low-carb makeover. 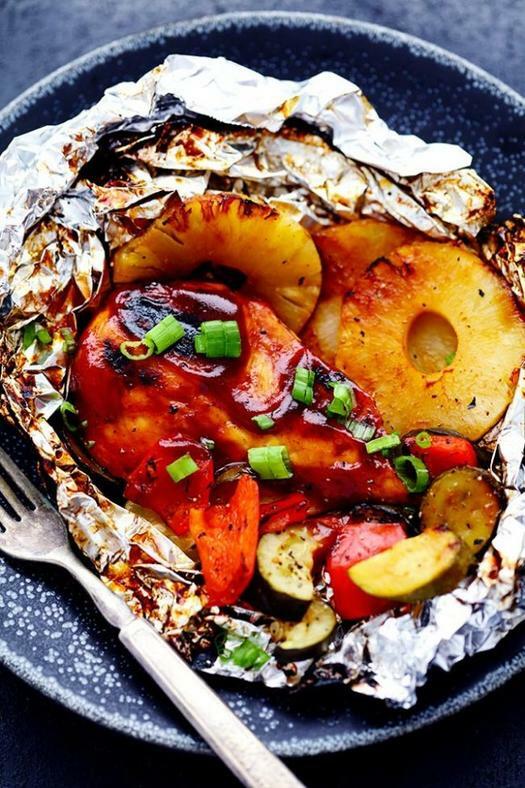 Just throw raw chicken breasts, BBQ sauce, pineapple slices, and veggies in some aluminum foil and grill for about 15 minutes. 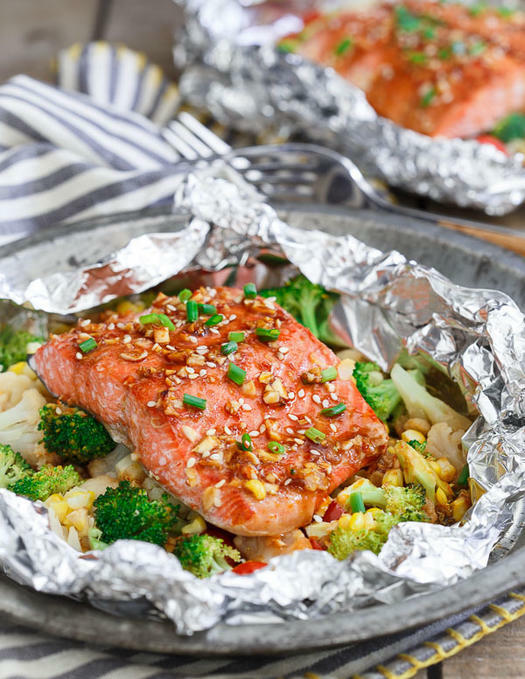 Sriracha, rice vinegar, and soy sauce add a pop of flavor to plain salmon. Corn, broccoli, cauliflower, and grape tomatoes count toward your daily vegetable servings. The best part? 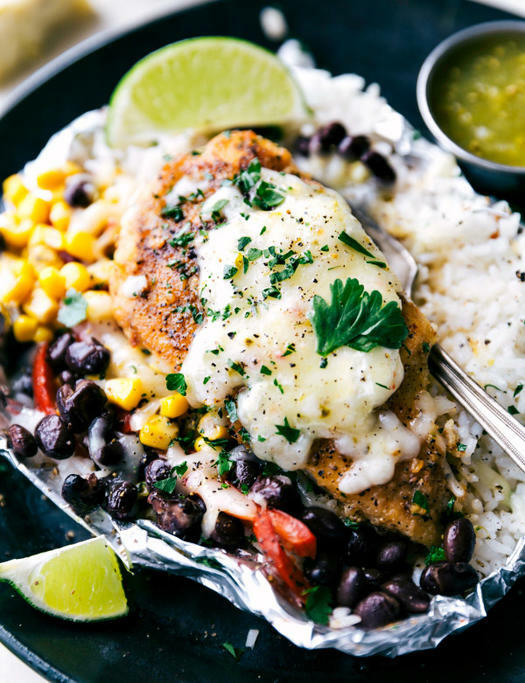 Foil packet meals mean no dishes—just throw away the foil when you’re done! You could cook this meal over the fire when you’re camping in the great outdoors or you could stay home and bake it in the oven at 400°F. 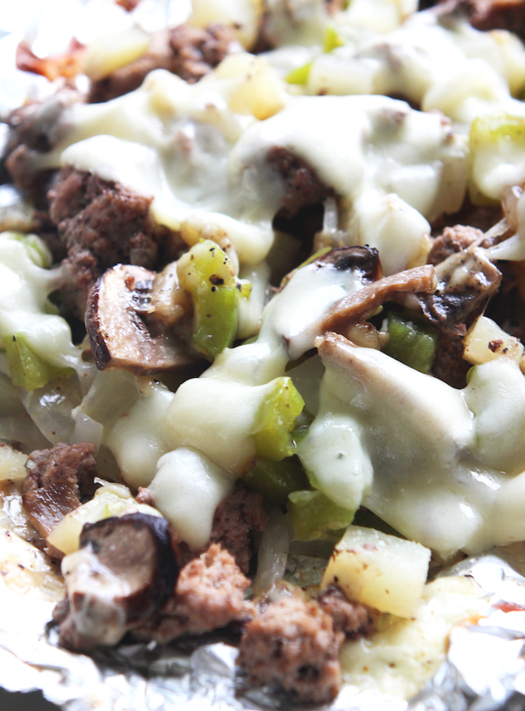 The delicious flavors of a Philly cheesesteak—beef, green pepper, mushrooms, and provolone cheese—are wrapped in foil for this quick meal. After a busy day at work, the last thing you want to stress about is dinner. 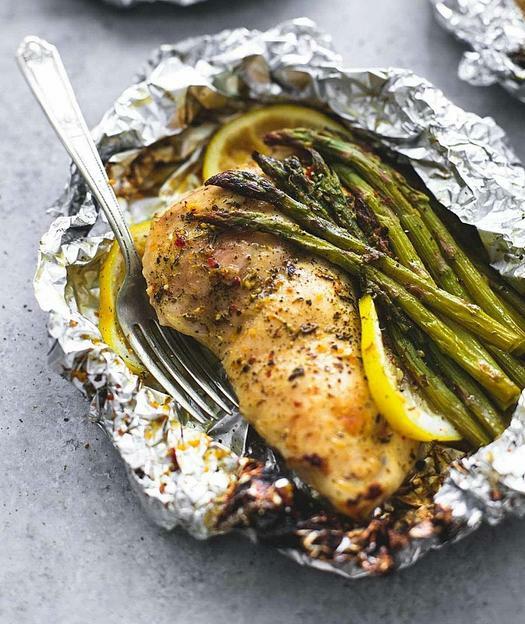 This healthy lemon chicken with asparagus can be on the table in 30 minutes with only six ingredients. A traditional New Orleans shrimp boil can take hours to prepare, but this foil packet version cooks in just 15 minutes. 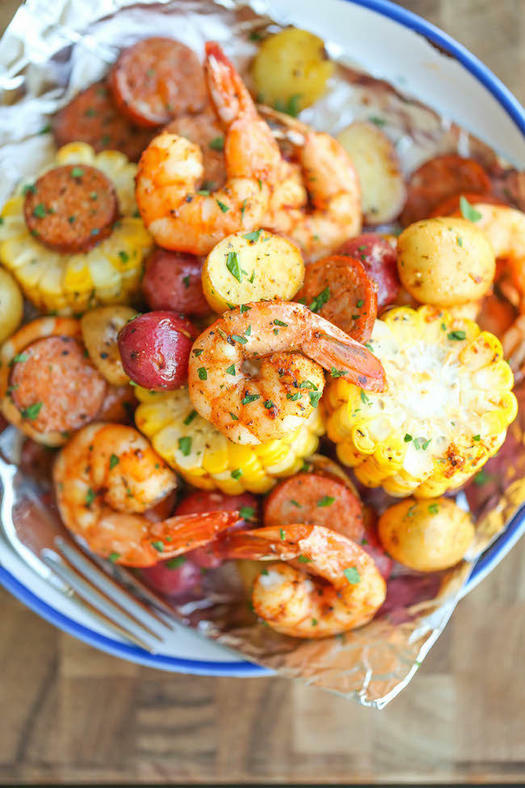 Cajun seasoning gives the shrimp, sausage, corn, and potatoes that spicy kick. It doesn’t get easier than this Mexican-style recipe. Just throw the chicken and rice foil packet in the oven, then top with your favorite toppings. ¡Olé! 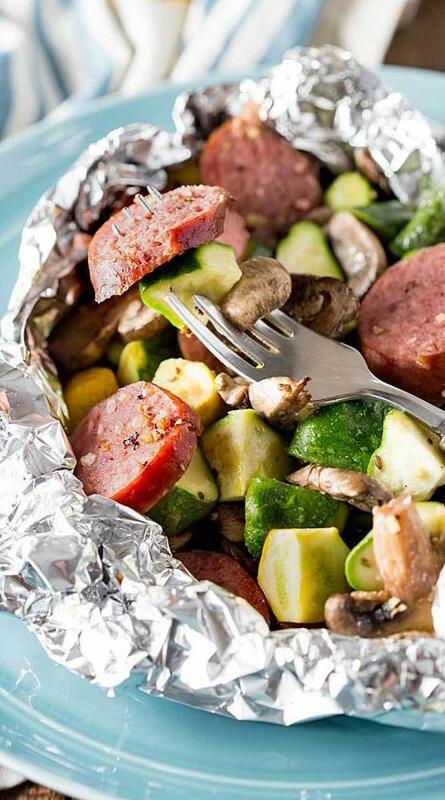 Wrap sausage, squash, zucchini, and mushrooms with steak seasoning and olive oil before baking or grilling. Kielbasa sausages are often already spiced to provide flavor without a heavy sauce. This isn’t a boring salt and pepper seasoned white fish. 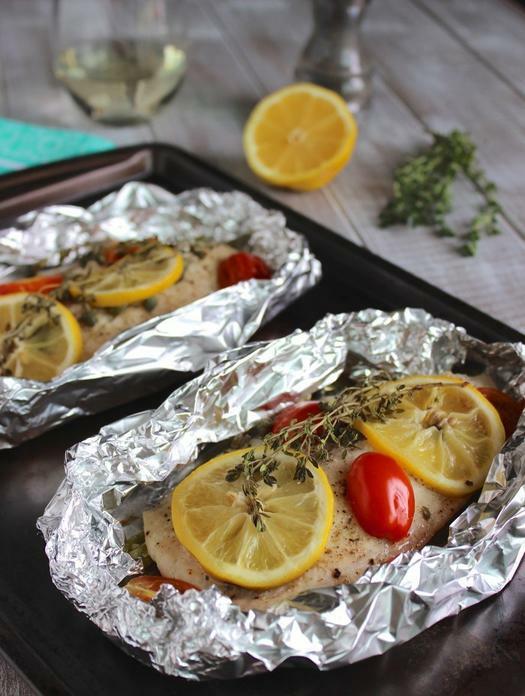 White wine, capers, lemon, and fresh thyme bring fresh flavor to the tilapia without adding tons of calories. 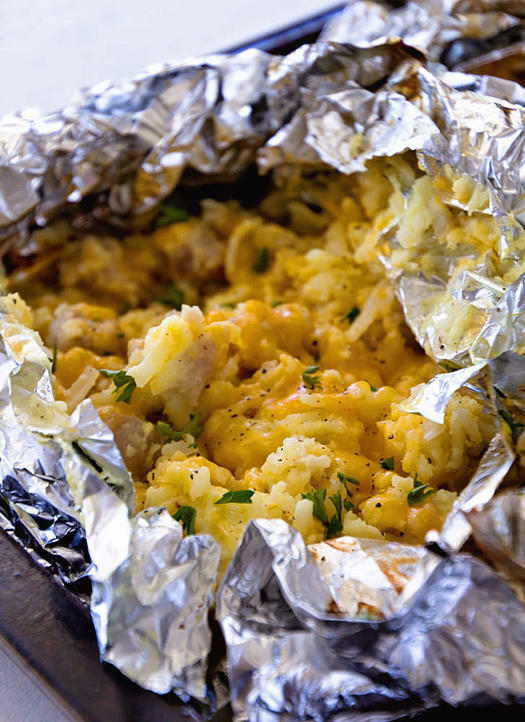 Not just for grilled food, the foil packets can also make breakfast for dinner. This recipe has hash browns, ham, eggs, and cheddar cheese. Steaming, and not frying or sautéing, means using less oil. That cuts down on calories and fat—this recipe has just 261 calories per serving. The chicken, broccoli, zucchini, and bell peppers get their flavor from the Italian seasoning—a mixture of oregano, marjoram, thyme, basil, rosemary, and sage.